Today's lesson is once you tweet something out to the world, you can't really take it back. As a Cleveland Sports sufferer fan, most of my Twitter followers are fellow 216 flagellates. 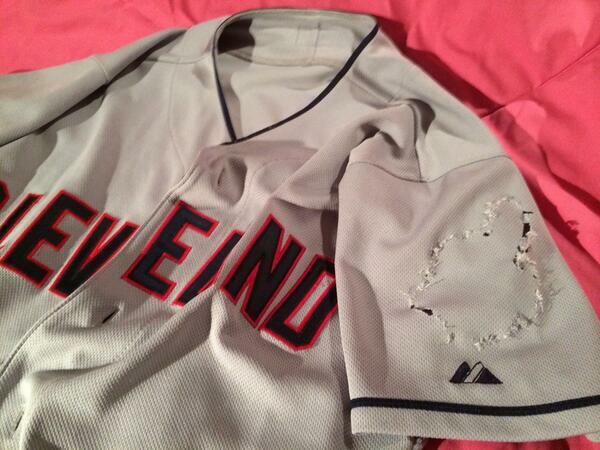 So it was with a mix of surprise and disappointment I came across a brief tweet by @DennisBrown in March of 2014, showing his Cleveland Baseball jersey, ready for spring training... with the Chief Wahoo patch removed. "Good on him," I thought. Chief Wahoo is (and there's no room for debate here) a Native American Sambo. He has no place in 2014. What a pleasant surprise. The disappointment came directly after, in a reflexive tide of venom directed at Dennis by fellow Cleveland sports fans slash internet trolls. Trying to be conscientious, he received four letter words and ignorance in reply. 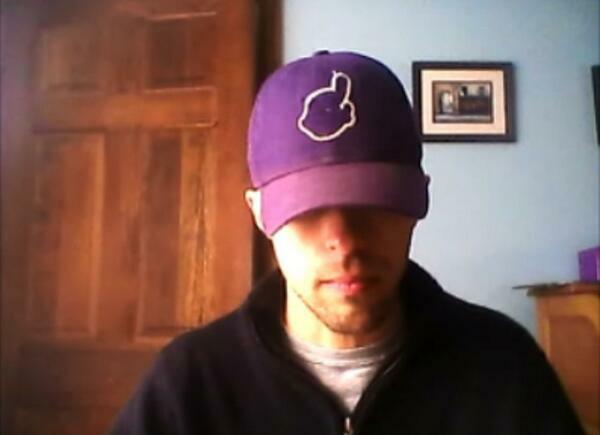 Enter yours truly, armed with a modified Cleveland cap and a crappy webcam. Within a few hours of tweeting Mr. Brown, my scraggly face was plastered on CBSSports.com, ThinkProgress.org, Buzzfeed and a handful of other sites and sports blogs. The blogspam machine sniffed out our small corner of the internet and had a feast. Let me tell you first hand, if ever your mug is splashed across the internet, DON'T READ THE COMMENTS SECTION. A scurrilous pack of lies. I may be many things, but a, "dirty, Hillary Clinton loving Communist" is not one of them. As the other "DeChiefed" pictures focused mostly on gear, mine ended up being the face of a small movement. Next thing I know, I'm giving phone interviews to the likes of ESPN and ABC News. Side note: I am not good at phone interviews. I accidentally told Paul Lukas I was born in Toldeo (which, I'm told, I was not). More articles featuring my name and face bobbed about the vast ocean of the internet. And for a brief moment, I was given a small pedestal on which my voice would carry just a bit farther into the wider world. As the articles featuring my cap focused mostly on the what and how, I used my moment to explain the why. A sometimes scribe for baseball humor site www.bugsandcranks.com, I carefully laid out the argument as to Why Chief Wahoo Must Die. 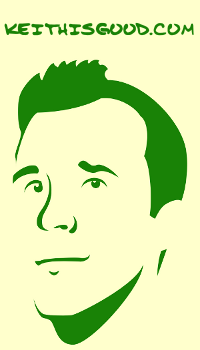 I've since published the same essay here on keithisgood.com. The essay garnered a good number of tweets and retweets, balancing nicely against the vitriol from fellow Cleveland fans who not-so-politely requested I crawl back under the dirty liberal rock from which I was hatched. The hubbub, thankfully, calmed almost as quickly as it had kicked up. By mid-April, the stream of angry tweets dried away. News dogs stopped calling. Life returned to its undulating, semi-normal state. The feeling was like coming down from an adrenaline rush, woozy and tired. Now with the US Patent Office rescinding Washington's trademark on "Redskins" for its NFL team, the question, "to Chief or De-Chief" is again bubbling up to the surface of blogs and sports chatter. Let's hope this time around, my mug doesn't fill any column inches, or at the very least, I get some warning and get a proper shave first. Because anything put out on the internet, no matter how insignificant-seeming, can be picked up elsewhere and made oddly permanent. The Dr. Phil Drinking Game! keithisgood.com by keithisgood creative enterprises is licensed under a Creative Commons Attribution-NonCommercial-ShareAlike 3.0 Unported License.